Detective Conan Movie 20: The Darkest Nightmare Diposting oleh admin Dirilis hari Kamis, 1 Juni 2017 pukul 17:00 WIB. 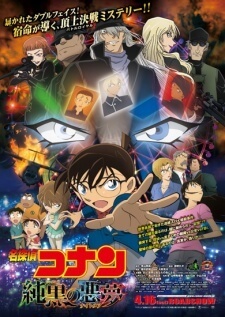 Download Detective Conan Movie 20 Subtitle Indonesia, Streaming Detective Conan Movie 20 Subtitle Indonesia terbaru. Di Conan.id, kalian bisa download anime Detective Conan Movie 20: The Darkest Nightmare terbaru bahasa indo karena di sinilah tempat terbaik untuk download anime Detective Conan Movie 20: The Darkest Nightmare terbaru. Anime di Conan.id terupdate setiap minggu. Di sinilah tempat terbaik download anime Detective Conan Movie 20: The Darkest Nightmare dengan kemudahan download. Info "Detective Conan Movie 20: The Darkest Nightmare"